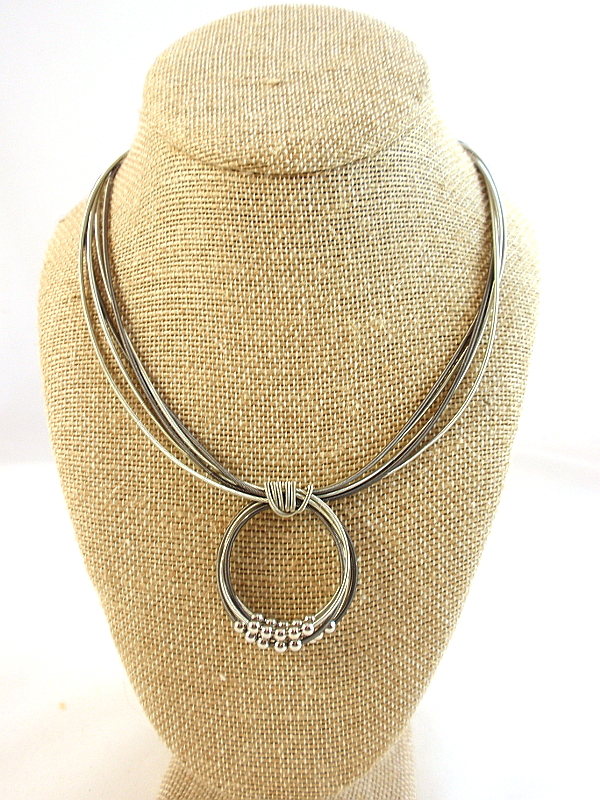 Fun to wear piano wire! 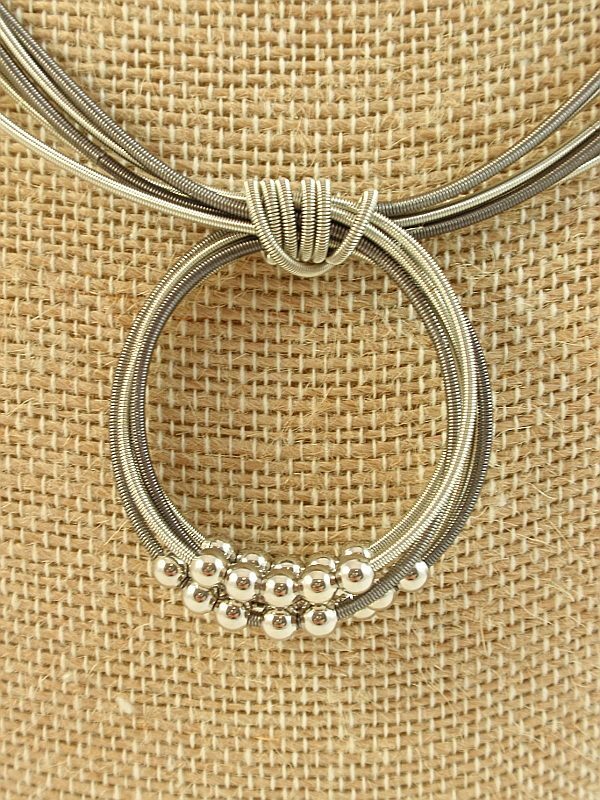 This 5 strand charcoal and silver stainless steel piano wire necklace has a circle drop with silver beads and a magnetic clasp. 18″ See also B178cs.